Yamaha Zuma 50 Scooter BatteriesThere are 141 products. 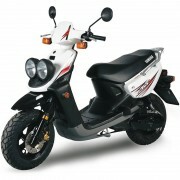 The Zuma 50 Yamaha Scooter series consists of several models, including Zuma, Zuma II, CW 50, YW 50, YW 50F, YW50 FX, YW 50X, CW50W, CW50TA, CW50J, CW50TJ, CW50K, CW50L, CW50TL, CW50M, CW50TM, CW50N, CW50TN, YW50P, YW50R, YW50S, YW50T, YW50X, YW50XB, YW50XL, YW50Y, YW50YL, YW50YB, YW50Z, YW50ZB, YW50ZY, YW50A, YW50AL, YW50FB, YW50FBB, YW50FBL, YW50FBW. From the years 1989, 1990, 1997, 1998, 1999, 2000, 2001, 2002, 2003, 2004, 2005, 2008, 2009, 2010, 2011, 2012, 2013, 2014, 2015. 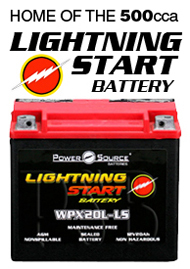 Power Sport Batteries has the high quality Maintenance-Free Sealed AGM, Dry Charge AGM, Conventional Flooded and Lithium Iron LifePO4 batteries that you want to buy at cheap discount prices to replace the original GS Yuasa YB4LB, YB4L-B, CB4LB, CB4L-B, GTX5LBS, GTX5L-BS, YTX5L, YTX5L-BS, YTZ7S, GTZ7S OEM Yamaha battery in your Zuma 50 Scooter. 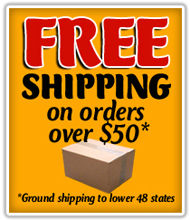 Yamaha Zuma 50 Scooter Batteries Free Shipping oem replacement - Power Sport Batteries Buy Yamaha Zuma 50, Zuma II, CW 50, YW 50, YW 50F, CW50W, CW50J, CW50K, CW50L, CW50M, CW50N, YW50P, YW50R, YW50S, YW50T, YW50X, YW50Y, YW50YB, YW50Z, YW50A, YW50FB, Scooter Battery Sealed AGM replacement for oem.